“The Dictionary of Modern Proverbs” is filled with more than 1,400 proverbs, many failure- and success-related. New words are added to the dictionary all the time, but proverbs aren’t as well documented, so most people are under the impression that all proverbs are old. The truth is that new proverbs are continually being “coined,” it’s just that published compilations have failed to keep up with the expanding repertory. 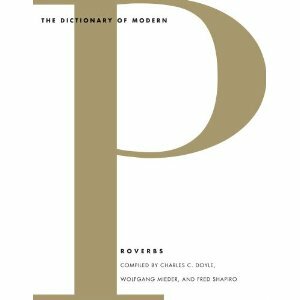 Enter “The Dictionary of Modern Proverbs” (compiled by Charles Clay Doyle, Wolfgang Mieder and Fred R. Shapiro, and published by Yale University Press), which is devoted to English-language proverbs that originated in the twentieth and twenty-first centuries. Why is now the right time for a dictionary of modern proverbs? Most proverb collections deal only with traditional proverbs [like those from classical antiquity, the Bible, and Medieval Latin]. But new proverbs are constantly being coined and transmitted in oral communication, especially in the mass media. They originate from political speech, advertisements, T-shirt inscriptions, greeting cards, newspaper headlines, slogans, etc. We believed it was time to put together the first comprehensive dictionary of modern Anglo-American proverbs to show once and for all that the creation of proverbs is an ongoing process. Our dictionary not only registers such text with variants, but also provides information regarding their origin and actual use in context. How long did it take you and your co-authors to complete the dictionary? We worked for about four years on the project, sharing in and enjoying the great amount of labor involved. While some modern proverbs—no proverb in our collection is older than 1900—could be found in newer proverb collections, we had to discover most of them by searching through books, employing the Internet, and doing field research. There were numerous times we were convinced that a text was a modern proverb, but then we discovered it was already in use in, say, the 1880s. That was a disappointment, of course, but we included a list of those “almost modern” proverbs at the end of the book. We were also able to prove that Teddy Roosevelt was already using the proverb “Speak softly and carry a big stick” in 1900 and not for the first time in 1901, as had previously been supposed. Is there a modern proverb that stands out for you as particularly interesting? Personally I have always been especially interested in “Different strokes for different folks,” since it is a rather liberating piece of wisdom. Proverbs often tell people what not to do, while this one recognizes the fact that people are different and that we should respect such differences. The book has its own Web page where readers can go to add their own proverbs for consideration, or to contribute new information on proverbs already included in the dictionary. Why? The basic problem with collecting and studying modern proverbs is that nobody knows them all. Surely there are numerous modern proverbs that we did not come across during our research. We look at our dictionary as a solid base—a serious beginning upon which we can now build. There is no better way than to ask for the help of all those people who are interested in proverbial wisdom. Our page will make it easy for people to send in those modern proverbs that we have not registered. In this way our book is an interactive and ongoing project. We know from experience that people enjoy submitting texts and e-mails on this topic, and we look forward to receiving more. The Gardner Heist—One museum, two thieves, 13 works of art. Reward money? $5 million. Getting the art back: priceless. 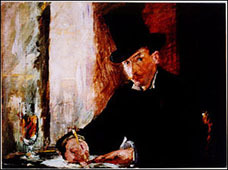 The Man Who Made Vermeers—The life and crimes of master forger Han van Meegeren.